Alfred Neumann (1900–1968) was a Czech architect whose work was wrought in the context of postwar modernism and the establishment of the State of Israel in 1948. Today, his influence and impact have been largely forgotten, but, in their time, Neumann’s original designs received praise and elicited controversy in almost equal measure, offering exciting new possibilities to the modernist mainstream. Space Packed: The Architecture of Alfred Neumann renews attention to this pioneering architect who made a vast contribution to modern architecture and had a lasting impact on Israel’s broader architectural culture. Drawing on Neumann’s writings and close study of both built and unbuilt projects, Rafi Segal discusses the development of Neumann’s architectural theory and methodology and documents his built works from the 1950s and ’60s against the backdrop of contemporary architectural discourse and the demands of the newly created State of Israel. The book also features a complete chronological catalog of Neumann’s buildings and designs, fully illustrated, including many previously unpublished photographs, drawings, and sketches. 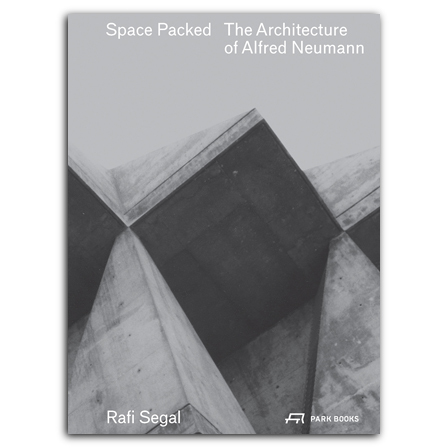 The first book to provide a detailed account of Neumann’s work, Space Packed: The Architecture of Alfred Neumann celebrates the career of this highly skilled and innovative architect, and it will be welcomed by architects and architectural historians. born 1967 in Tel Aviv, is a designer and Associate Professor of Architecture and Urbanism at MIT in Cambridge, MA.